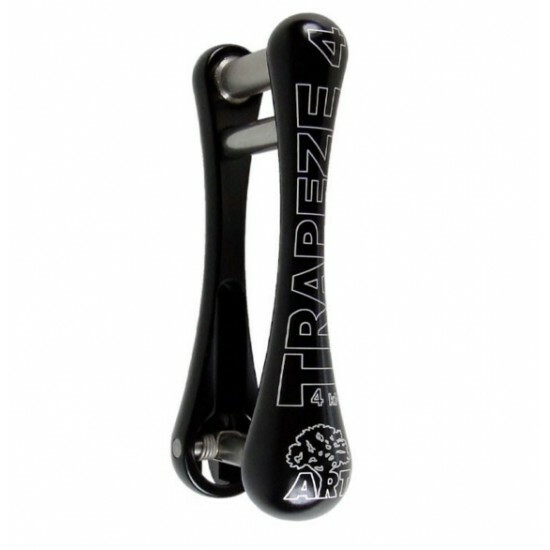 There are shackles of all kind – and the Trapeze 4. The even more refined version of the standard ART Trapeze caused something like a small revolution. In no time this shackle comes on and off – just magic! It clicks automatically, no other tool needed. The bolt comes with a rounded head and prevents rope or sling fabric from threading. When being opened the bolt completely sinks into the frame allowing barrier-free handling. Extremely user-friendly it comes with an outstanding design as well – a real beauty that should definitely be applied in many more ways.